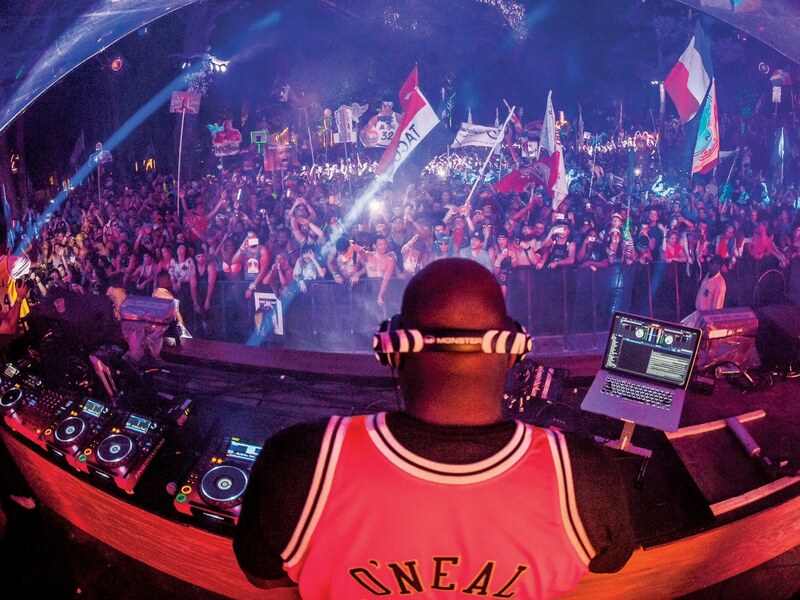 Miami Music Week is on the horizon, which means Shaq's infamous "Fun House" is making its comeback to the Magic City. Combining aspects of EDM, carnival games and cabaret performances, Shaq’s Fun House is one of Miami’s most exclusive music festival parties. When asked what inspired him to start the event, the NBA All-Star responded, “There are two things that bring people together: sports and music. I happen to be dominant at both. Shaq’s Fun House takes a little bit of everything I love and throws it into one big party.” It’s a party that has in years past hosted an epic dance-off between the host and Super Bowl winner Rob Gronkowski (“What you don’t realize is Gronk is the heaviest white guy I have ever had on my shoulders,” says Shaq) and sets by Diplo, Migos and Tiësto. “It is just all about F-U-N—and letting people go wild from 1 a.m. till sunrise.” How do you get your invite to this exclusive event, you might ask? Well, Shaq says to “call me.” Unless you have Shaq’s hotline bling, we’ll be working on finessing our invite as well.